After creating a new project, create a new graph: select File → New → Graph from the main menu. The graph is a recipe of your data transformation. 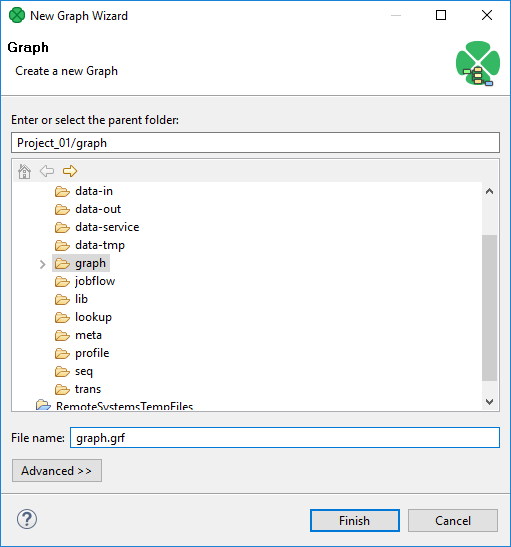 Give a name to the graph and choose a directory for it. We choose graph as the graph name. CloverDX Designer gives it the .grf extension automatically. 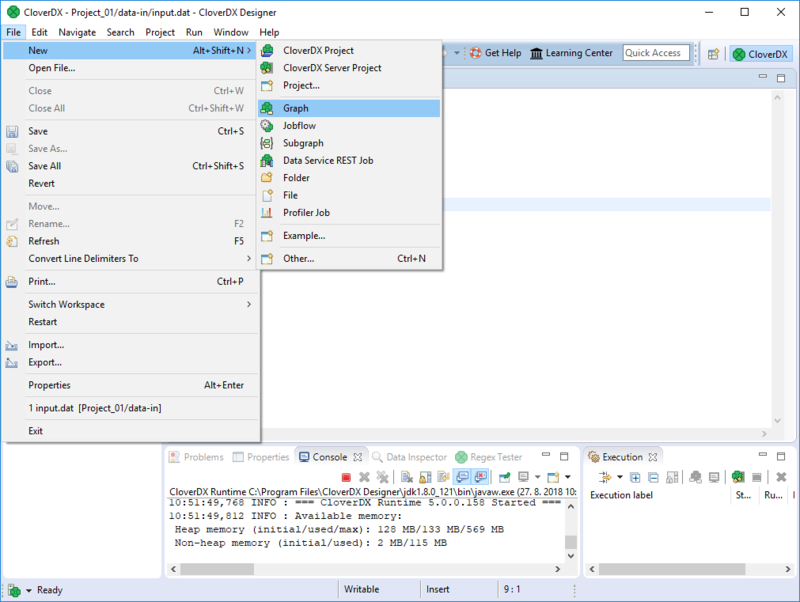 CloverDX Designer offers the graph subfolder. It is the recommended place for graphs.